The Chilcot Inquiry into the war will interrogate the former Prime Minister over the devastating 'smoking gun' memo, which warned him in the starkest terms the war was illegal. 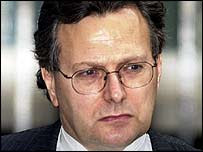 The Mail on Sunday can disclose that Attorney General Lord Goldsmith wrote the letter to Mr Blair in July 2002 - a full eight months before the war - telling him that deposing Saddam Hussein was a blatant breach of international law. Lord Goldsmith was so furious at his treatment he threatened to resign - and lost three stone as Mr Blair and his cronies bullied him into backing down. 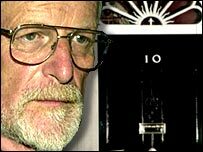 Sources close to the peer say he was 'more or less pinned to the wall' in a Downing Street showdown with two of Mr Blair's most loyal aides, Lord Falconer and Baroness Morgan. The revelations follow a series of testimonies by key figures at the Chilcot Inquiry who have questioned Mr Blair's judgment and honesty, and the legality of the war. The Mail on Sunday has learned that the inquiry has been given Lord Goldsmith's explosive letter, and that Mr Blair and the peer are likely to be interrogated about it when they give evidence in the New Year. But today's revelations show that Lord Goldsmith told Mr Blair at the outset, and in writing, that military action against Iraq was totally illegal. The disclosures deal a massive blow to Mr Blair's hopes of proving he acted in good faith when he and George Bush declared war on Iraq. And they are likely to fuel further calls for Mr Blair to be charged with war crimes. 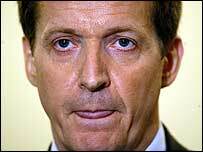 Lord Goldsmith's 'smoking gun' letter came six days after a Cabinet meeting on July 23, 2002, at which Ministers were secretly told that the US and UK were set on 'regime change' in Iraq. Friends say it was no easy thing for him to do. 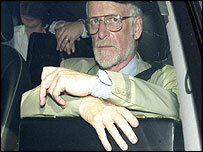 He was a close friend of Mr Blair, who gave him his peerage and Cabinet post. The typed letter was addressed by hand, 'Dear Tony', and signed by hand, 'Yours, Peter'. War could not be justified purely on the grounds of 'regime change'. Although United Nations rules permitted 'military intervention on the basis of self-defence', they did not apply in this case because Britain was not under threat from Iraq. While the UN allowed 'humanitarian intervention' in certain instances, that too was not relevant to Iraq. 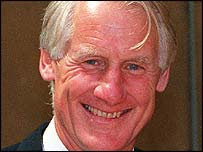 Lord Goldsmith ended his letter by saying 'the situation might change' - although in legal terms, it never did. The reason was simple: if it became public, Lord Goldsmith's letter could make it impossible for Mr Blair to fulfil his secret pledge to back Mr Bush in any circumstances. More importantly, it could never be expunged from the record as copies were stored in No10 and in the Attorney General's office. 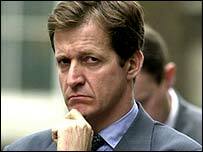 A source close to Lord Goldsmith said: 'He assumed, perhaps naively, that Blair wanted a proper legal assessment. No10 went berserk because they knew that once he had put it in writing, it could not be unsaid. 'They liked to do things with no note-takers, and often no officials, present. That way, there was no record. Everything could be denied. 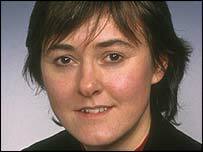 Lord Goldsmith's wife Joy, a prominent figure in New Labour dining circles, played a crucial role in talking him out of quitting. 'Joy was always very ambitious on Peter's behalf and did not want to see him throw it all away,' said a source. Lord Goldsmith's letter contradicts Mr Blair's repeated statements, before, during and after the war on its legality. 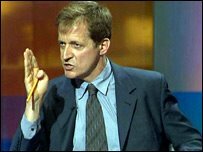 In April 2005, the BBC's Jeremy Paxman repeatedly asked him if he had seen confidential Foreign Office advice that the war would be illegal without specific UN support. 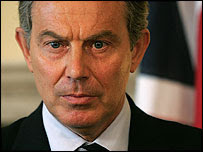 Mr Blair said: 'No. I had the Attorney General's advice to guide me.' At best, it was dissembling. At worst, it was a blatant lie. He was summoned to a No10 meeting with Lord Chancellor Lord Falconer and Baroness Sally Morgan, Mr Blair's senior Labour 'fixer' in Downing Street. No officials were present. The legal row came to a head days before the war, when the UN refused to approve military action. Stranded, Mr Blair had to win Lord Goldsmith's legal backing, not least because British military chiefs refused to send troops into action without it. 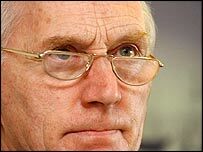 On March 17, three days before the conflict started, Lord Goldsmith said the war was legal on the basis of previous UN resolutions threatening action against Saddam - even though in his secret letter of July 2002, he had ruled out this argument. A spokesman for Lord Goldsmith said: 'This letter is probably in the bundle that has been supplied to the inquiry by the Attorney General's department. It is presumed they will want to discuss it with him. If so, Lord Goldsmith is content to do so. A spokesman for Mr Blair refused to say why the former Prime Minister had not disclosed Lord Goldsmith's July 2002 letter. When Sir John Chilcot opened his long-awaited Iraq Inquiry today, he pointed out that it was not a court of law, nor an inquest. He wasn't kidding. In place of the Cathedral-like grandeur of Lord Hutton's Royal Courts of Justice, the Chilcot hearings are plonked in what looks like a stockroom in a concrete bunker. The QEII conference centre is an unlovely splodge of modernism even to its admirers, but somehow the Cabinet Office managed to find one of its dingiest, pokiest rooms in which to take evidence on Britain's biggest foreign policy disaster since the Second World War. Whereas Lord Hutton sat literally on high, Delphically peering over his half-moon specs from the bench, Chilcot has to make do with a few plastic tables and chairs and a wobbly set worthy of Crossroads. Fittingly for this ersatz inquiry, the chairs - and I personally felt them for you dear Reader - are cheap, black, "leather-effect". There was no dashing James Dingemans-figure, Hutton's forensic counsel. No documents placed immediately online. No electric anticipation. Empty seats, to my surprise, dotted the hearing room's public gallery. Without the hacks allowed in at the last minute, it would have been even worse. There was even a cut-price minute's silence for the hundreds of thousands of civilians and troops killed in Iraq. Chilcot announced a few moments of respect for the dead, but they lasted literally 10 seconds by my count. Overhead, there was a huge ventilation duct, hovering like an engorged worm over the proceedings. The dangling black wires, for hastily-rigged lights, resembled its innards. Yet while the Hutton Inquiry may have fizzed and dazzled us during its hearings stage, the 'whitewash' report he ultimately produced was proof that not all that glisters is inquiry gold. Maybe, despite - or because of - its inauspicious surroundings, the Iraq Inquiry was going to yield a more telling verdict on the war? Unfortunately, as soon as Sir John kicked off proceedings, he and his fellow Privy Councillors engaged with witnesses with a chumminess that did nothing to dispel the image that this is a far from independent inquiry. The whole event felt for all the world as if the Athenaeum had been evacuated to a multi-storey car-park in Slough. I never expected the Spanish Inquisition, but this was a cross between a Chatham House seminar and a fireside chat at the Ambassador's residence. Without the Ferrero Rocher. Our Man in Saudi (Sir William Patey) was quizzed by Our Former Man in Moscow (Sir Roderic Lyne). 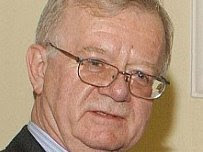 Simon Webb, the MoD official witness, opened by pointing out that he had recently been elevated to a position chosen by Inquiry panellists Lady Prashar and Sir Lawrence Freedman. The Knights of the Formica Round table were very accommodating, Chilcot himself nodding enthusiastically in agreement when Sir Peter Ricketts of the Foreign Office gave the Government line on Saddam and sanctions. All of them joked about the dastardly French and the money-grabbing Russians blocking brave Britain's attempts to sort out Saddam. As for the Americans, well they were clearly unaware of the legality of 'regime change'. In a classic bit of FCO arrogance, Sir William opined: "I freely admit that sitting in the Foreign Office, sometimes you think 'why are we the only ones who bother?" As if to underline the them-and-us divide in the room, the non-Sirs of the inquiry staff were given a bottle of tap water, while the panel and witnesses all had bottles of mineral water. If Lord Hutton was the Establishment Judge, Chilcot and his pals were clubbier than Pall Mall. Atlhough Chilcot said that he and his colleagues had "an open mind", the room was freighted with shared assumptions and backgrounds. But although the first day was not that encouraging, there was the odd shaft of fresh sunlight let into the murk of the QEII's boxroom. 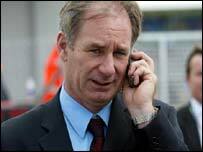 Sir William let slip he had drafted an 'options paper' in 2001 that included the idea of 'regime change'. It was soon dismissed on grounds that it would be illegal, and not even passed on to Number 10 (bang goes that conspiracy theory). Baroness Prashar showed a feisty determination to probe a little deeper than the others. Sir Martin Gilbert barely said a word. Perhaps the most striking quote came right at the end, when Sir Roderic (who could turn out to be a wild card) asked a simple question. "In terms of military threat, was Saddam and his regime in a cage?" he asked. Saddam's armed forces were being contained, albeit very imperfectly, through a mixture of no-fly zones, sanctions and UN work on weapons inspection. True to form, the MoD's Webb tried to 'hawk-up' the answer of this FCO colleague, suggesting that actually when you took into account the threat posed by WMD then it was all more complicated. But the simple answer to a simple question had already slipped out. Not a bad way to round off a largely flat, opening day. But according to the leaked papers, Britain did little or nothing to make good on its promises. And on the “work to build a new Iraq”, among the most striking things in the documents is the anger and contempt expressed by many British Army commanders towards their own Government. After every major military operation, the Army sits down in a room with each of the field commanders who took part. In a one-on-one session, an “interviewing officer” asks them what they thought, what went right, what went wrong, what surprised them and what messages they want to give. The answers are tape-recorded and transcribed. Those classified transcripts have been obtained by The Sunday Telegraph. These are the voices of the men at the sharp end: the field commanders who had to pick up the pieces in April 2003, immediately after the “major combat operation” phase, or Telic 1, had ended. The victory celebrations had been held. President Bush had proclaimed “mission accomplished”. But the real mission, to kick off the rebuilding Mr Blair had promised, had barely started. The fact that, right from the beginning, it was starting to fail comes through vividly. “Sufficient resources were never available to us to make the whole thing work properly, and that affected our credibility enormously,” said Lt Col Jim Castle, the commanding officer of the King’s Own Scottish Borderers. The disillusionment of the commanders in the field is matched by the story told in the “overall lessons learnt” documents leaked to us. The documents admit that potential problems were foreseen before the war. “During the winter of 2002-03, there were fears in London that several factions might compete for power if Saddam Hussein fell, and that violence or moves towards civil war were possible,” says one. But almost nothing was done to prevent that and improve the chances that the occupation would succeed. “Planning was not done in sufficient depth, and at the outset of Phase 4 [stabilisation/occupation] little finance was requested and approved for reconstruction purposes,” says the Army “general staff analysis” on the first two years of the occupation — four successive six-month operations codenamed Telic 2, 3, 4 and 5. The documents say: “The coalition plan effectively contained no detail once Baghdad and Basra had been taken and the regime removed ... There was, therefore, a notable loss of momentum after the fall of Baghdad and Basra ... a significant issue [outside the British area], allowing some Iraqis to regroup for insurgent operations. This shortcoming is the more noteworthy because it was predictable. So keen was Britain to declare victory and leave that it pulled out troops even when they were badly needed. The report attacks the “premature drawdown of troops when, during a tense public order situation, the visible requirement was for boots on the ground”. Remarkably, according to the report, the Foreign Office did not set up its Iraq post-war planning unit until late February 2003, three weeks before the war started. But the Army, too, was at fault. It has now become conventional wisdom that the war never stood a chance. But in the British sector, the Shia population, persecuted by Saddam, was thrilled to see the leader gone and initially welcomed the occupiers. A key feature that emerges from these reports is the belief, right or wrong, by officers on the ground that with a bit more backing they could have got somewhere. Although General Stewart thinks “we and the Iraqis will somehow muddle through,” it is in the end his pessimistic projection that comes to pass. By 2007, the Army in Basra was virtually under siege. The names of witnesses who will appear at the Iraq Inquiry during the first few weeks of public hearings have been released today. 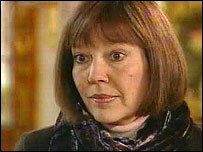 The witnesses will give evidence covering the period from 2001 up the invasion of Iraq in March 2003. The subject areas the witnesses will be asked to cover, as well as the posts they held at the relevant time, have also been announced along with a more detailed timetable of hearings for the first week. The hearings will begin on Tuesday 24 November 2009 at the QE II conference centre in London. What is the purpose of the Chilcot inquiry? Its stated objective is to "learn lessons" from the planning and execution of the 2003 invasion and occupation of Iraq. If only this were true, because this is what the British people demand, but reading between the lines, there appears a more insidious intent. 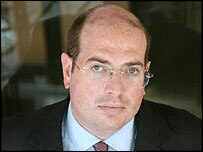 From 1998 to 2002, I was the UK's Iraq "expert" on the UN Security Council. 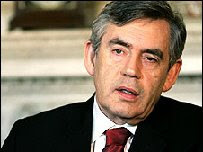 I resigned from the Foreign Office after giving evidence to the Butler inquiry in 2004. That inquiry produced an ultimately comforting outcome: that while the intelligence used to justify the war might have been exaggerated, it was not deliberately manipulated. The establishment might have made mistakes, but in the final analysis it could be trusted. That Sir John Chilcot served on the Butler inquiry is like trying the same crime twice with the same judge and jury – not a credible standard for truth-seeking. Nor would a truth-seeker allow the inquiry's staff to be headed by the civil servant who was in a senior position in the foreign and defence policy secretariat of the Cabinet Office during Britain's military occupation of Iraq. Meanwhile, many of those giving evidence will have a deep interest in confirming the government's narrative, for they are deeply implicated in having implemented it. One little-discussed disgrace of prewar policy-making is that there was never a proper review of the available options. Witnesses will no doubt claim to Chilcot that there were none and that sanctions "were not working". This is not true: the government's internal assessments up to 2002 confirmed that sanctions had prevented Iraq from rearming with any significant stocks of conventional weapons or WMD. To know that there were non-military ways to undermine Saddam requires detailed insight into government policy and the prevailing circumstances. Most of those in a position to know will have little interest in revealing this complexity at the inquiry, for to do so will demonstrate their own complicity in ignoring those choices. But ministers and officials should be asked why, for instance, we were unwilling to pressure Turkey to close off illegal oil exports across its south eastern border, which were a crucial source of revenue for Saddam's regime. 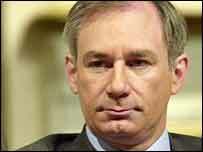 Why did Tony Blair not raise the issue of Syria's illegal export of Iraqi oil when he visited Damascus in October 2001? Weeks before the war began, and when ostensibly the UK was still pursuing peace, why did ministers tell Parliament that British aircraft were doing nothing unusual in the "no-fly zones" covering northern and southern Iraq, when US officials were briefing the American press that their – and presumably our – aircraft were engaged in "softening up" Iraqi defences for the imminent invasion? Other questions require a profound knowledge of the complex UN Security Council resolutions that framed the weapons inspections and sanctions regime, almost all of which were originally drafted by British officials. One resolution in particular established the United Nations Monitoring, Verification and Inspection Commission (UNMOVIC), the weapons inspection body, in 1999. During those negotiations, the UK and US insisted that UNMOVIC required at least six months of inspections before it could reach a view on the degree of Iraqi disarmament and report to the UN Security Council. If this was the allied view in 1999, why did that change in 2003, when inspectors were given just weeks to visit hundreds of sites across a large country, sift thousands of documents and then deliver their judgments? Will the inquiry have the resources or inclination to address these issues? They are central to understanding the policy issues that led to war. The inquiry will probably focus on the senior officials. But much of the policy-making detail is known best by more junior officials who were immersed in Iraq day in, day out. Will the inquiry have the time to interview these officials thoroughly? Will these officials, many of whom are still in government, be guaranteed protection if they reveal accounts at odds with the official version? Few are the officials genuinely knowledgeable about the twists, turns and options of long-term Iraq policy. At the MoD, there was one so authoritative on the complex questions of weapons inspections and WMD programmes that at the UK mission in New York we insisted on his presence in our briefings of UN Security Council diplomats. He is sadly no longer around to offer the inquiry his testimony. His name was David Kelly. Given these weaknesses, why has the Chilcot inquiry been generally accepted as legitimate? The government's motives are clear: it wishes to distance itself from decisions which many of today's cabinet supported, it seems, on the nod and without asking for the full picture. In reviewing the advice of the attorney general on the legality of the war, was the cabinet not made aware of the view of the Foreign Office legal advisers, who had told the attorney general and foreign secretary that the planned war was in fact an illegal war of invasion? The opposition's motives are less clear, but still discernible. They, too, supported the war, supposedly because they believed the government's claims about WMD. But they failed to question the government in detail before the invasion and only began to do so when it became clear how disastrously the invasion and occupation had been planned. What the opposition parties want from the inquiry is evidence that they were misled, thus absolving them of blame. What they do not want is confirmation of what clearly was the case: that they – and by implication Parliament – were incapable of scrutinising government and holding officials to account in the gravest of circumstances. There is another truth that no one wants to see revealed: that government, whether honestly led or not, cannot understand the reality of places like Iraq, let alone master it as an occupier. Government can function only by reducing a complex and ever-changing reality into simplified policy choices, prepared by officials like me, and presented and defended by ministers. It is inconceivable that such reductionism can accurately capture the intricacy of a place like Iraq. But without it, government cannot operate. At home, the inevitable policy errors can be corrected by feedback from governed to government – through Parliament, the press and civil society. In foreign policy, no such feedback loops exist. Government may occasionally get policy right, but this is more by chance than by judgment. My guess is that the Chilcot inquiry will not offer this uncomfortable conclusion. Instead, grave officials, soldiers and ministers will offer evidence; sober mandarins will sit in judgment upon them. Revelations will be made; errors and failures will be uncovered. The ensuing and weighty "Chilcot report" will make recommendations for greater scrutiny, more accountability, fact-checking and planning mechanisms. But look at the players, read the pre-ordained if unadmitted script, and the show that we are about to witness becomes clear – it is, after all, for our benefit. The purpose? To confirm that our democracy, Parliament and government function as they should. Government may get it wrong sometimes, and may even sometimes be dishonest, but it is ultimately perfectible and capable. The country is secure in its hands; safe can be our sleep. When we launched the work of the Iraq Inquiry in July, I said that I and my colleagues came to our task with open minds and a commitment to review the evidence objectively. Our purpose is to establish what happened during the UK’s involvement in Iraq, and to identify the lessons that should be learned to help future governments who may face similar situations. We are committed to an approach that is thorough, rigorous, fair and frank. We also recognise that there is a wide range of expectations about what the Inquiry will deliver and that we need to understand people’s concerns and priorities. Our approach will be to piece together the evidence from documents and the testimony of those who have first hand experience of the issues; use that to identify what went well and what did not; and - crucially - why. I have made clear previously that no-one is on trial. The Inquiry is not a court of law, an inquest, or a statutory inquiry; and our processes reflect that position. It is not for us to make findings of guilt or innocence- only a court can do that. I have, however, made clear that we will not shy away, in our report, from making criticisms – of individuals or systems – where that is warranted. First, the Prime Minister has given us complete access to all Government papers. We have asked for, and received, a considerable volume of written material produced by Government departments involved in Iraq. Those official records have already helped us to prepare for the public hearings that will begin on 24 November, but a substantial amount of further work will be needed in the months ahead to inform our report. Held five meetings around the UK for the families of those who were killed or are missing in Iraq. Almost 40 families participated and we are very grateful to them for the open and constructive way in which they shared their views about the issues they think the Inquiry should address. That has provided us with much food for thought. We remain interested in the views of all families and hope that anyone who was not able to attend, and those who did, who have something to say to us will feel able to get in touch and let us know their views. Invited Iraq veterans to attend meetings or let us have their views. A few have done so but we will do more to get a broader spectrum of views and insights as our work progresses. Held two excellent seminars with a range of experts who have worked and written extensively on the UK’s involvement in Iraq and its implications for the wider field of international relations. The papers delivered at those seminars are on the Inquiry website. We intend to have further seminars, early next year, drawing on the views and expertise of, for example, those with experience of addressing humanitarian and post-conflict stabilisation and longer-term reconstruction issues. We also expect to visit the United States, and possibly other countries, to meet individuals who have a perspective to offer on the UK’s actions. Invited anyone who wants to make points about the conflict, relevant to our terms of reference, to contact us. We have received a substantial response to that request and will consider all the material submitted. We continue to welcome contributions as our work progresses either through our website – www.iraqinquiry.org.uk – or in writing to 35 Great Smith Street, London, SW1P 3BQ. Following earlier discussions, we have invited leaders of the main opposition parties and Chairs of the relevant Select Committees to let us know if they have particular points they wish the Inquiry to consider. We have also invited members of both Houses of Parliament to give us views. The next step will be to start taking oral evidence from those with first-hand experience of the development and implementation of British government policy in Iraq. The first round of public hearings will begin on 24 November, in the QE II Conference Centre in London, and run until early February 2010. We will use the first five weeks of hearings to help establish a reliable account of the essential features of the UK’s involvement in Iraq between 2001 and 2009, and how those developed. That will provide the framework on which the Inquiry’s subsequent analysis will build. We will start by hearing from senior officials and military officers who had a key role in developing advice for Ministers and/or implementing government policy. We will ask them to explain the main decisions and tasks, and their involvement. That will give us a clear understanding of how policy developed and was implemented; and what consideration was given to alternative approaches. 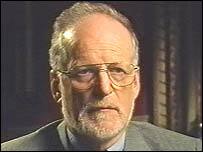 A list of those witnesses covering the period up the invasion of Iraq will be announced on 16 November; and a further list of witnesses covering the remaining period to July this year will be announced on 30 November. Early in the New Year, we shall begin taking evidence from Ministers (including the former Prime Minister) on their roles and decisions. We are developing our formal lines of Inquiry. Those will take shape as we gather evidence. We will, however, begin during this first phase of public hearings to take evidence about thematic issues that are emerging as of interest to the Inquiry, including military equipment, military and civilian personnel issues, the key decisions taken and their rationale, the legal basis for military action, the development of government policy and the communication and implementation of those policies. 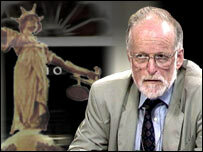 In addition, some areas (for example the treatment of detainees, some aspects of human rights and the handling of Service personnel inquests) require further research – including ensuring that the Inquiry does not prejudice legal proceedings and/or investigations into individual cases – before deciding the Inquiry’s approach to those issues. The initial public hearings will be followed by further analysis and private hearings to take evidence on sensitive issues – as defined in the protocol on “sensitive information”, published on the Inquiry’s website - and from more junior officials. That will help prepare for a further round of public hearings, which will be held in the middle of 2010 after the General Election. In some cases, those hearings will be used to invite witnesses to discuss issues in more detail than in earlier evidence, or to pursue further lines of inquiry. New witnesses may be called at that stage. Once we have the evidence we need, either orally or in writing, the Inquiry will be able to draw conclusions and make recommendations. We aim to report, if possible, by the end of 2010. The Inquiry was set up as a matter of public interest, because the UK’s involvement in Iraq has given rise to many serious questions. We have a responsibility to address that public interest fairly and squarely. Our report will therefore seek to illuminate lessons from Iraq that will help to improve the process of forming and implementing policy in the future. 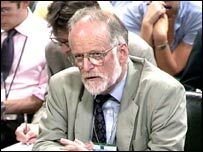 Iraq Inquiry committee members will hear directly from a range of experts on Iraq in a series of forthcoming seminars. These seminars reflect the committee’s desire to hear a wide range of views on the UK’s involvement in Iraq 2001-2009 and to get to the heart of the complex issues involved. They will help inform the committee’s approach to its work ahead of the public hearings in late November. The first seminar will cover The Evolution of International Policy towards Iraq 1990-2003, and Iraq and the Region on the Eve of the 2003 Invasion. The second seminar will examine The Causes and Consequences of Iraq’s Descent into Violence after the Initial Invasion. Panel members for the seminar on November the 5th are; Professor Michael Clarke, director of the Royal United Services Institute; Dr Toby Dodge, reader in international politics at Queen Mary University, London; Professor Charles Tripp, professor of politics at the School of Oriental and African Studies; and George Joffe, a lecturer in the Department of Politics and International Studies at Cambridge University. Dr Dodge is also on the panel for the seminar on the 10th of November. He will be joined by Patrick Cockburn, author and Iraq Correspondent for the Independent, and Professor Gareth Stansfield, professor of Middle East Politics in the Institute of Arab & Islamic Studies at Exeter University.